World Tai Chi Day 2018 in Kansas City!! 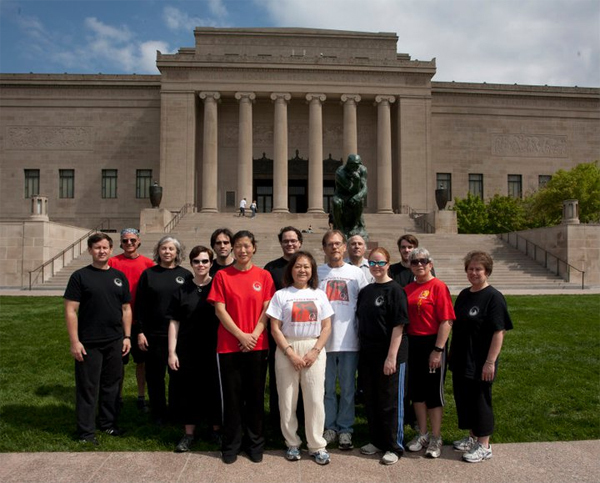 Master Chen Huixian would like to invite her students, and the rest of the Kansas City Tai Chi community to come out Saturday morning, April 28th to lawn of the Nelson-Atkins Museum of Art to share World Tai Chi Day with co-founders Bill and Angela Wong Douglas. The Global wave of Taiji officially starts at 10:00am, but we are going to try and get there around 9:00am to get coordinated and do some warm ups (and make sure we get decent parking). We would really like for all of you to come and show your support for the school if you can make it. We're hoping to have a strong turn out to show the KC community what Chen Village Taiji is all about! We will probably all go out to eat lunch together afterwards if you want to come. So bring your family to come watch the Taiji demo and then have lunch if you want!